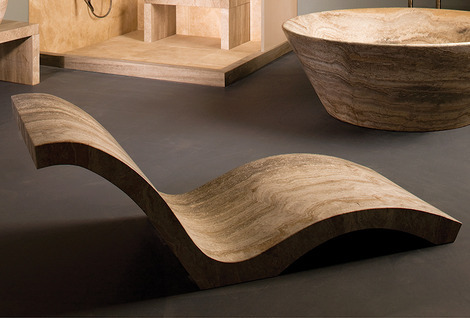 This organic, curvy chaise lounge is designed to support the natural contours of the reclining body. 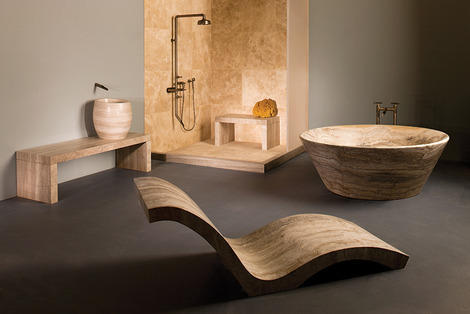 It is a sculptural wonder that is ergonomic and inviting. When used indoors, it absorbs the ambient room temperature, and when used outdoors it will absorb only enough sun to warm and cradle you in its sensuous, flowing form. 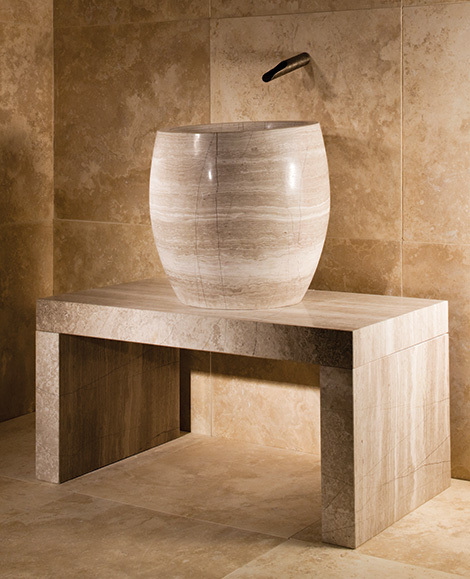 This uniquely deep barrel-shaped vessel is designed to perch atop the Banco Shower Bench. A cavity carved into the back of the piece allows for a clean installation, concealing the plumbing underneath. 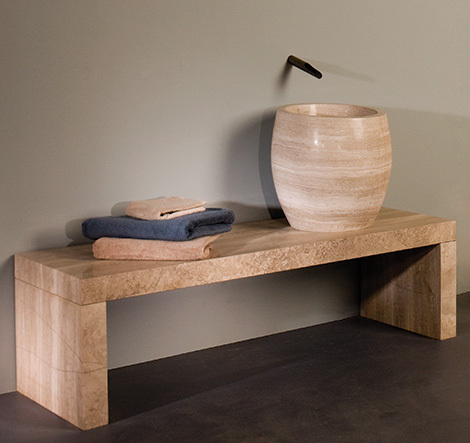 Three slabs of marble combine to create this sleek, virtually seamless bench. 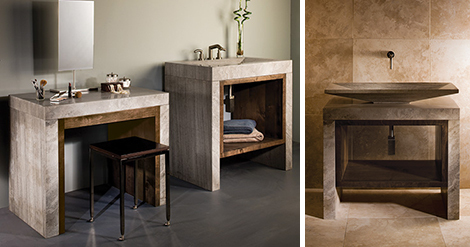 Standard sizes include lengths of 36″ and 60″ but it can be custom-cut up to 60″ to fit space requirements and scale. 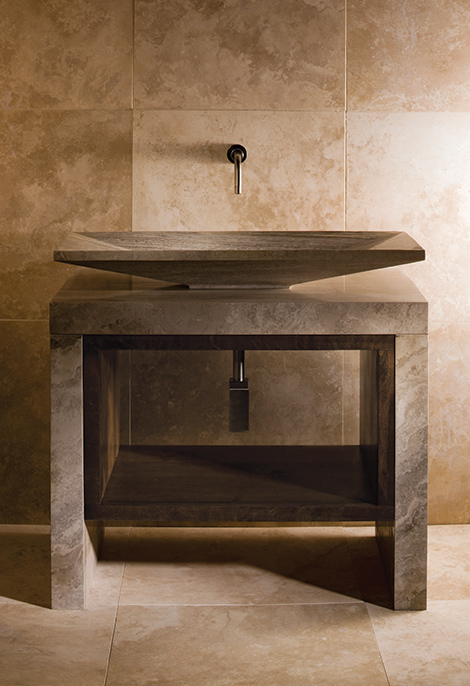 This piece is designed as a base for a vessel sink. 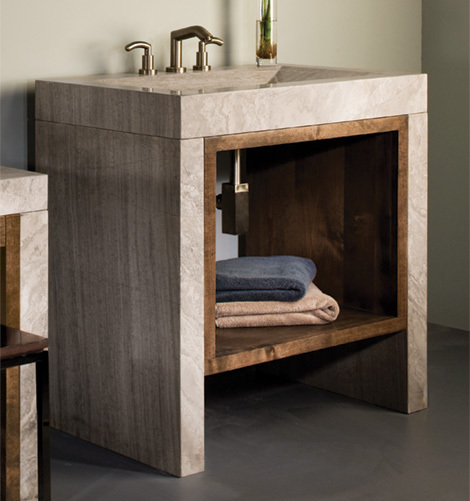 The design features three slabs of marble with an alder wood inlay for storage and pairs nicely with the Verona vessel. 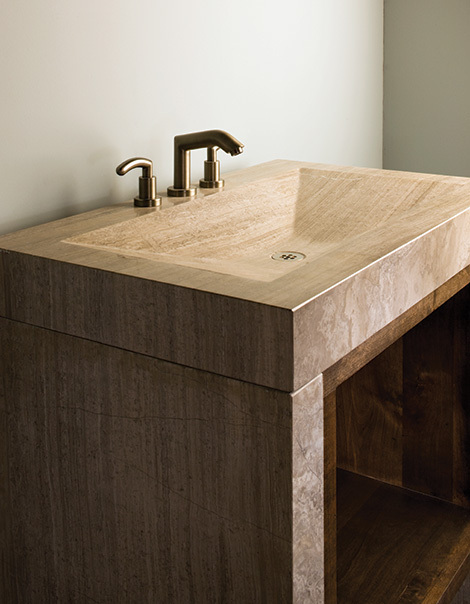 A recessed image of Stone Forest’s beautiful Verona vessel, the Recesso console sink features an alder wood inlay for storage underneath. 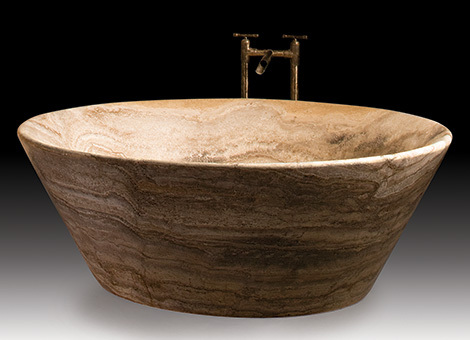 This handsome, circular “teacup” shaped bathtub is not only a work of art – with a 60″ diameter it offers more that enough space for comfortable, indulgent soaking. 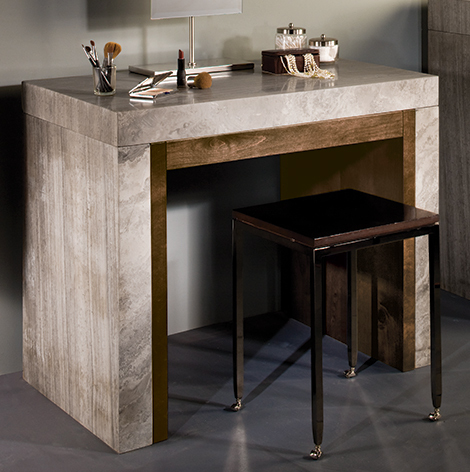 With an open base to allow for sitting, this make-up table also features an alder wood inlay and slim profile pull-out drawer. 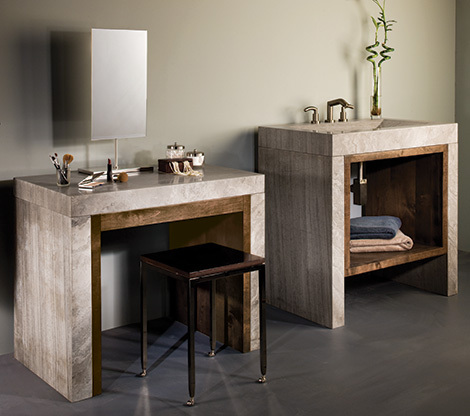 The open surface provides space for glamour and reflection.